Halloween is fast approaching! To start October off in an appropriately creepy manner, I thought I’d cover some spooky poetry that’s perfect inspiration for a cool, moody wardrobe. And the most famous Gothic poet around is the late, great Edgar Allan Poe. While we did a post about Poe earlier this year, this is more of a fashion study of his poetry. 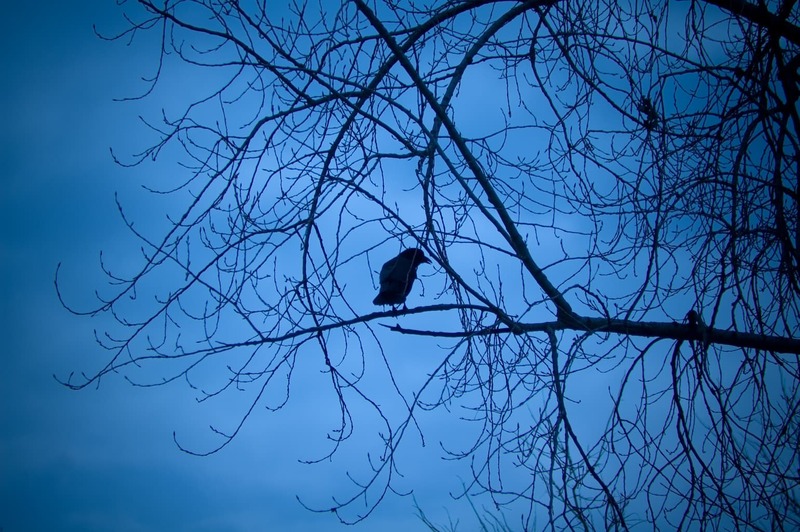 Tragic poems like The Raven and Annabel Lee are main features in English literature classes, but their appeal transcends school. They’ve influenced countless things in our popular culture, from other famous poets to shows like The Simpsons with their Halloween episodes. So get inspired by the gothic style and lyrics of Edgar Allen Poe’s poetry for your new fall look! A good number of Poe’s poems have a common narrator: a lonely, sad man longing for his lost love. No doubt this character is influenced by Poe’s own love life, as he fell into a deep depression after the death of his young wife/cousin, Virginia. You can see this trope of a beautiful dead woman in poems such as For Annie, Annabel Lee, and The Raven. For an etheral yet modern look, slip on a white dress with lace cut outs. Add more gothic details, like black stud earrings and black booties. For a pop of color, carry your things around in this lipstick-red clutch bag. If you want a good, creepy poem for this Halloween, read The Bells out loud. It is fantastic. It’s incredible how Poe makes his work so lyrical and rhythmic while talking about dark subjects such as death and decay. For a look that’s dark and gothic, you can never go wrong with a black dress. Pair it with unusual crystal earrings and a fringy gold necklace. To add a bit of edge to the outfit, finish with a bomber jacket and buckled ankle booties. No, this outfit isn’t purely inspired by Pantone’s colors of this year. The balance of dark and light is something Poe explores a lot in his work. So for this look, mix black basics, like these professional trousers and a printed blouse, with some sweet, pastel shades, like a pale blue coat and pink Vans. Finish the look with some midi rings for dark and romantic feel. So what did you think? Which Edgar Allan Poe poem is your favorite? Which outfit did you like the best? What book would you like to see next?